More than two centuries after the first safari expedition brought the Europeans in direct contacts with the wilds; the lure of the experience endures. Out of the hardship of travel across difficult terrain in colonial Africa and India, came an experience of great luxury and sensuality. This ability to imbue any environment, no matter how alien, with the comfortable elements gave the travelers an exotic travel experience. 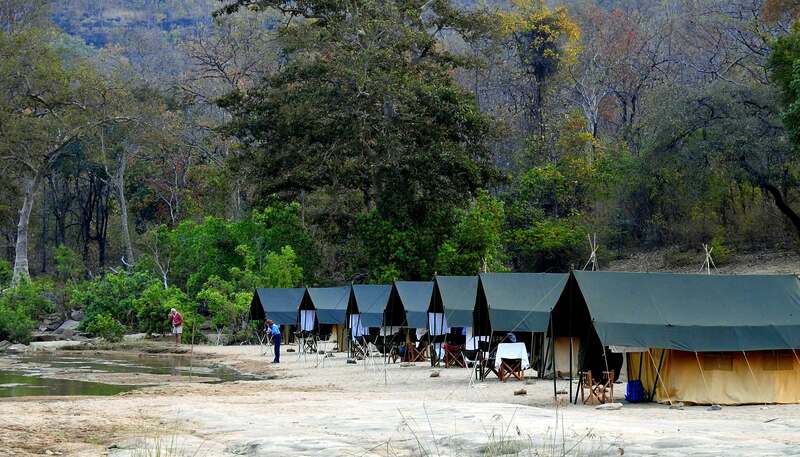 We bring to you a novel experience of being on foot in the Central Indian Jungles, the adventure just doesn’t end there – you also stay in a mobile camp. This safari offers high adventure, an opportunity to feel the jungle at close quarters while exploring uncharted terrains in the home of the tiger. This high-adrenaline experience is set in Satpura Tiger Reserve, a lesser known but equally versatile park. Walking in the jungles is deeply immersive and probably the best way to explore and learn. This high-adrenaline experience is set in Satpura Tiger Reserve, a lesser known but equally versatile park. Walking in the jungles is deeply immersive as there is a heightened sense of awareness that something may lie ahead and one needs to keep their wits about them at all times. 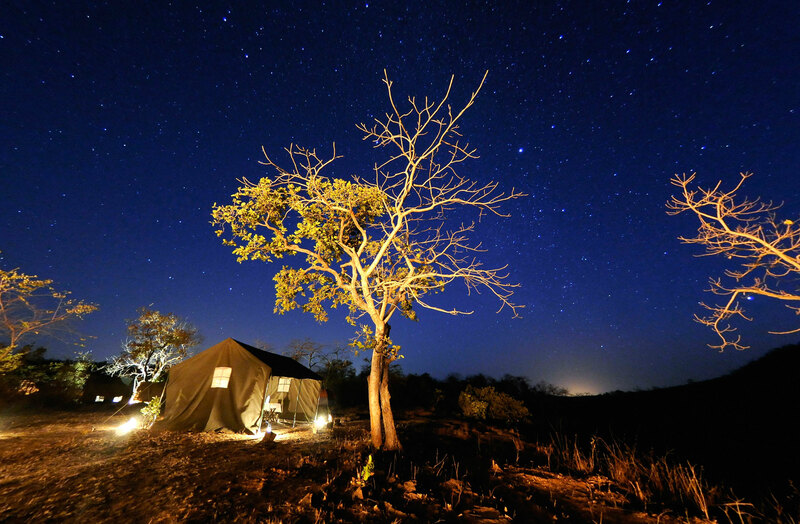 Being on foot in the jungles & living under canvas gets you real upfront with the wilds of Central India. 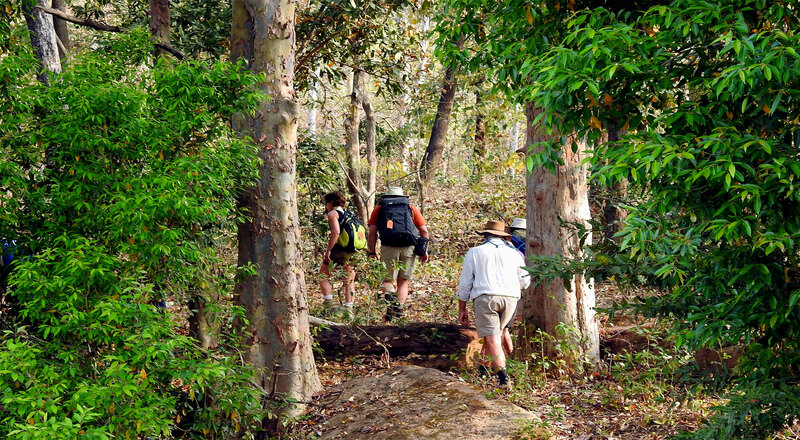 Pugdundee Safaris walking & camping in Satpura Tiger Reserve is one such experience. 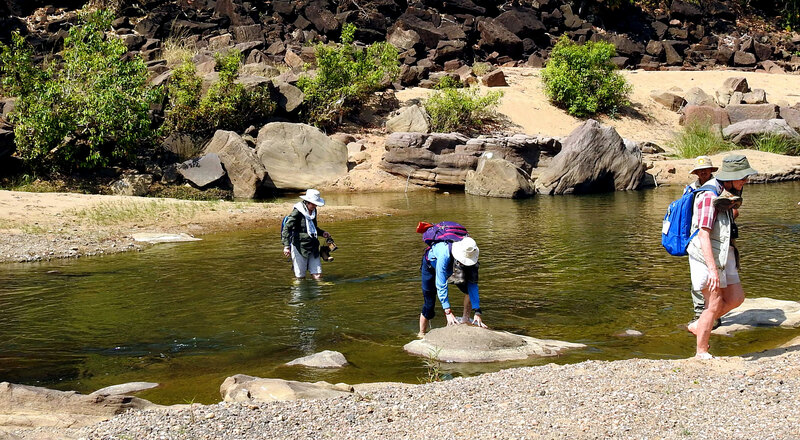 This safari offers high adventure and opportunity to feel the jungle at close quarters while exploring uncharted terrains comprising of rugged hills, gorgeous streams, tribal villages and home to the Tiger. Led by an experienced group leader: Chinmay Deshpande, this is a bespoke experience curated for an authentic wildlife experience. 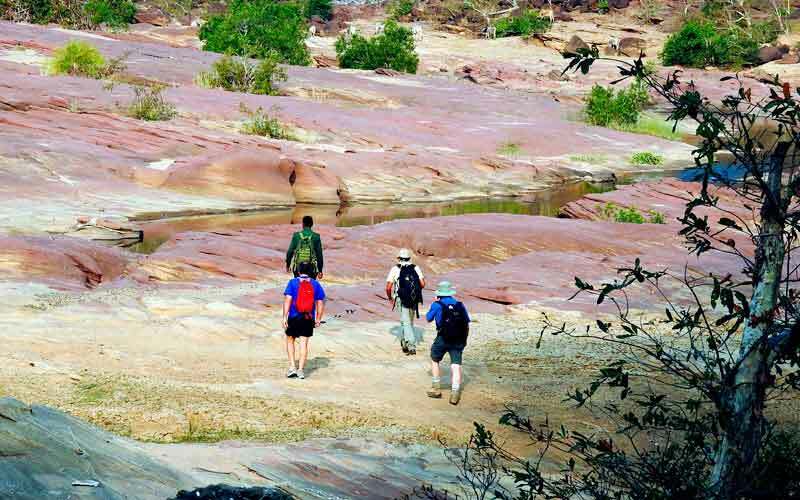 Walking through various terrains in the jungles of Satpura Tiger Reserve. Yes it includes walking inside the core zone of the jungle too & crossing various terrains like jungles, rugged hills, beautiful streams and rivers, tribal villages. Evenings are spent at the campsite which will be different for both the nights. There is no electricity at campsites and accommodation is simple in tents with cots. 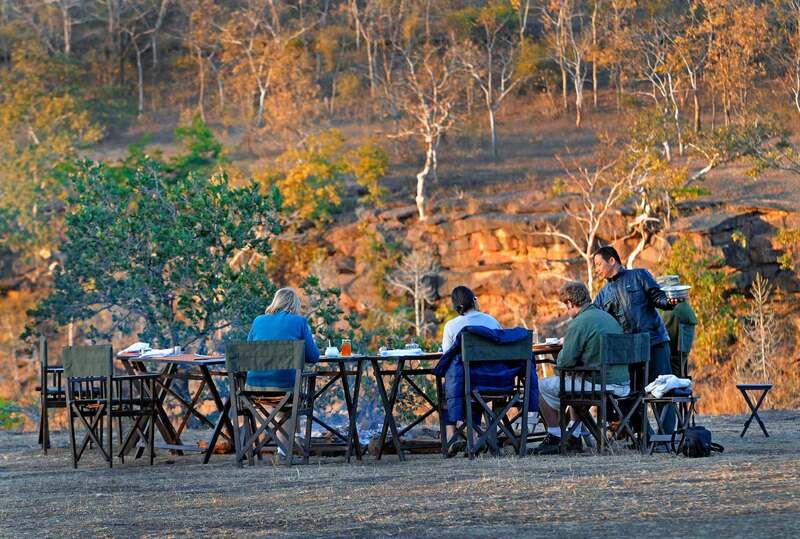 Camp cooks turn out fresh delicious meals to be enjoyed in exhilarating surroundings. 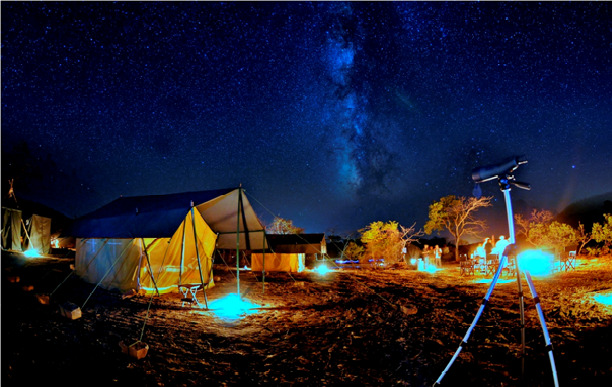 Each tent is provided with a shower tent and a dry pit toilet tent. Moderate fitness level is required. Walks are about 5-7 hours daily with 2-3 breaks in between. Why Should You Book with Us. Day 01 15th Mar - Arrive at the lodge - the nearest station / airport is Bhopal. Evening at leisure or a short boat safari at the backwaters of Denwa River. Day 02 16th Mar - After breakfast, you will drive 2 hours to reach the starting point of walking safari. Start 03 hours trek downhill through Sal forests inside Satpura National Park to reach village Kanjighat. After lunch, trek further 2 hours to reach the mobile camp. Retire at the camp for an overnight stay. Day 03 17th Mar - Start full day walk from the camp through Satpura National Park. Today will be a picnic packed lunch at Jhela village about 3 hours away. After lunch, walk another 3 hours.Retire at camp for overnight stay. Day 04 18th Mar - Post breakfast at the camp, drive out for further connections. 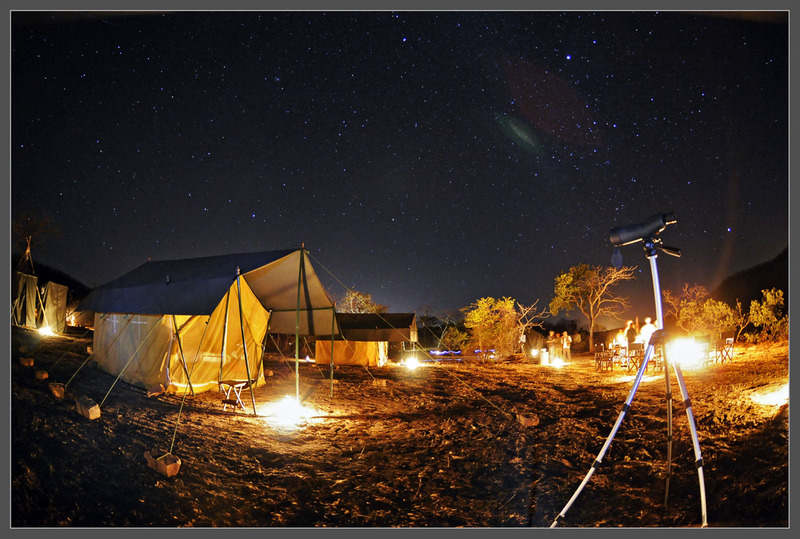 1 nights accommodation at Denwa Backwater Escape – Satpura and 2 nights accommodation at Mobile camp on twin sharing. Services of an English speaking Naturalist for the walks and activities. Entry fees to the parks and guide charges. Jeep transfers to / from the lodge to drop off/pick up point for walking safari. 1 Boat Safari in Denwa Backwater. Pick and drop from the nearest railway / airport (Bhopal, Itarsi) etc. is on chargeable basis. Any other details not mentioned in the inclusions. 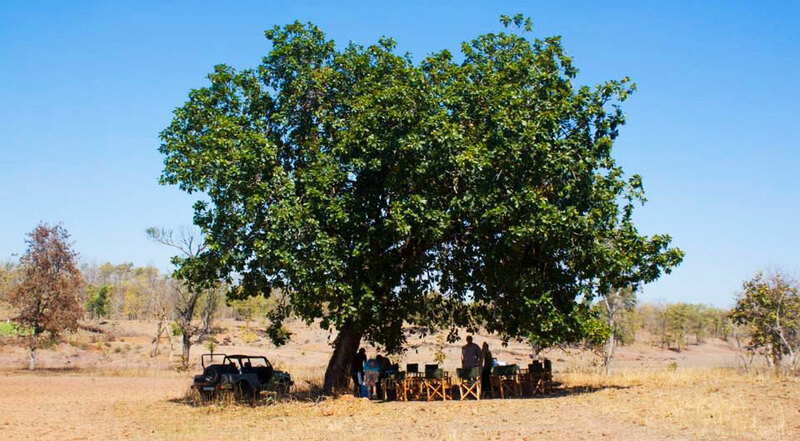 You may consider extending your stay in Satpura and do more safaris before or after the above tour.